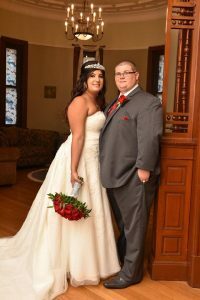 This adorable couple left a review for us on google that we just found as adorable as them so we thought we would share. Magic Assistants truly enjoys assisting our clients and tackling challenges that set us apart of others. Below are the kind words left by the adorable newlyweds that we had the privilege of caring for this past October. Did you know that Magic Assistants provides “Assistant Services” for events? First off what a amazing company and there professionalism is a whole new level, we hired Magic Assistants For our wedding planner for the day of, and what a breeze it made it, the owner Tammy reached out the a few days before to let us know our vendors where contacted and everyone was on track, the day of couldn’t have went any better, if there was a issue we didn’t know about it, they made sure everything ran smooth and in a timely manner and kept us on track… thank you guys for a wonderful experience and making our day special. To our newlywed couple, we thank you for choosing Magic Assistants it was a pleasure and an honor to attend such a joyous occasion. We wish you both nothing but the absolute best in all that you do. We’ve been caring for small offices throughout Buffalo, NY and it’s surrounding suburbs for over 7 years! What makes Magic Assistants trusted above other cleaning service providers? When you combine higher standards, smarter strategies and superior quality all in one package, the result is top notch.